That’s a picture of a nearly completed section of Apple’s new “spaceship” headquarters in Cupertino, California. 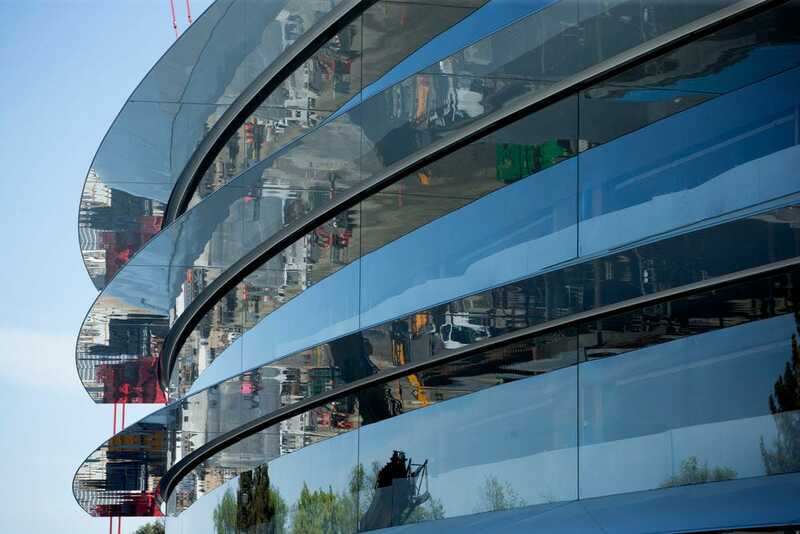 Apple’s new HQ will feature the largest pieces of curved glass in the world. As you can tell from the photo, it’s quite a stunning sight to behold. Apple is planning to move employees to its new $5 billion campus early next year. Popular Science recently got a tour of the still under construction campus. Check it out here.